Tom is a restless innovator who works mainly in lighting, accessories and furniture. From his departure point in the early eighties welding salvaged steel into radical furniture, he has constantly reinvented himself through a series of different design lives. We're returning to Milan after a year’s absence and rethinking how we can embed ourselves into the heart of Italy’s commercial and cultural capital. 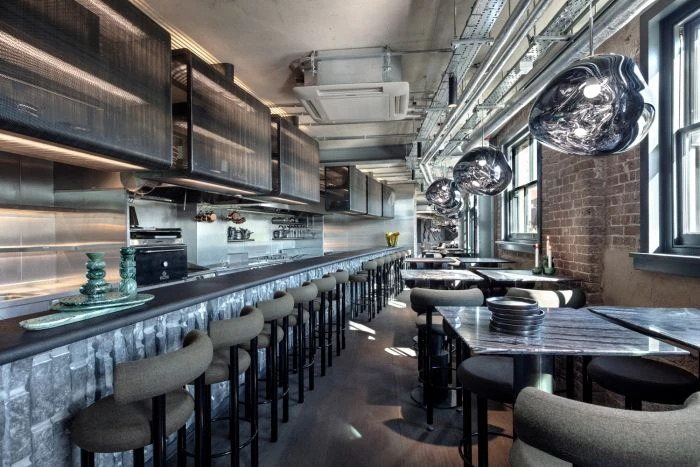 Aptly named The Manzoni, the new 100-cover restaurant has been created by Tom’s Design Research Studio.